F. Michael Parkowski | Parkowski, Guerke & Swayze, P.A. F. MICHAEL PARKOWSKI is a Director in the firm. He provides representation to a variety of public and private clients on governmental, environmental and land use matters. Mr. Parkowski received a degree in civil engineering from Villanova University and his law degree from Temple University. He has worked as an engineer with the U.S. Army Corps of Engineers – Philadelphia District Office – and served as Deputy Director for Enforcement at the U.S. EPA Region III Office in Philadelphia. Following graduation from law school, Mr. Parkowski served in the Delaware Attorney General’s Office as General Counsel to the Delaware Department of Natural Resources and Environmental Control (DNREC), and also prosecuted criminal offenses in the Kent County Prosecutor’s Office. While serving as General Counsel to DNREC, he drafted numerous environmental laws and regulations, including the legislation which created the Delaware Solid Waste Authority, a statewide public body which has comprehensive authority and responsibilities over the collection, transportation and disposal of solid waste. He also drafted legislation creating the Delaware Agricultural Lands Preservation Foundation, a public body which purchases development rights on farms to preserve farmlands in Delaware. 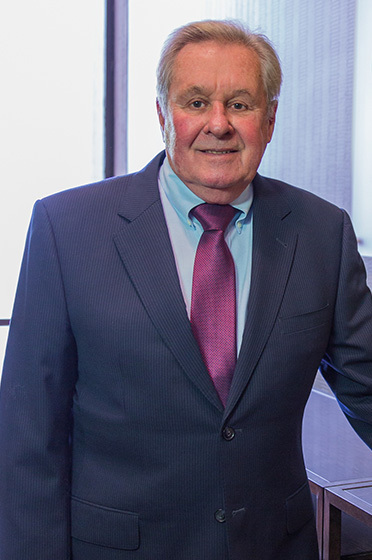 Since entering private practice in 1975, Mr. Parkowski has provided representation on environmental matters on a regional basis, and he conducts a statewide practice. He has served as General Counsel to the Delaware Solid Waste Authority since 1976, and also has represented the Delaware Economic Development Office, Delaware Department of Transportation, Delaware Lottery Office, and the Delaware Civic Center Corporation. He currently serves as counsel for the Delaware Solid Waste Authority and the Delaware Agricultural Lands Preservation Foundation. His private environmental clients include many major companies with manufacturing and industrial facilities located in Delaware. Mr. Parkowski also provides representation to clients involved in large- scale real estate developments. He has served by appointment of the Governor, as Chairman of the Board of Commissioners of the Delaware River & Bay Authority. He was appointed by the Governor to serve as Chairman of the Judicial Nominating Commission, which reviews applications for judicial office and provides recommendations to the Governor for appointments. Mr. Parkowski serves, and has served, on numerous committees established by the Delaware Supreme Court in a leadership capacity. Mr. Parkowski is past President of the Delaware State Bar Association and former President of the Kent County Bar Association. He has been listed in America’s Best Lawyers from 1990 to the present and has a Martindale-Hubbell rating of AV.